As we see a continued challenge with race relations across the country and the world, many people are asking in what ways they can contribute to a positive outcome. 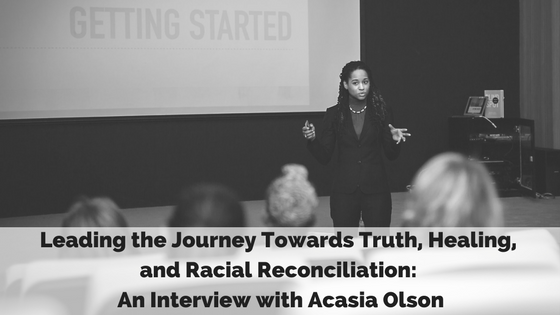 Our guest, Acasia Olson enlightens us on how we can join the movement to embrace healing, create a lasting impact within our communities, and shape a more equitable world for ourselves and our children. Tell us about EmbRace Healing. EmbRace Healing’s mission is to create tools for communities and businesses designed to guide the application of truth, healing, and racial reconciliation in their diversity and inclusion plans; to ensure broad application of truth, healing, and racial reconciliation in local social justice initiatives through the creation of strong/resourced networks; and to demonstrate the importance of personal truth journeys for individuals, employees, and volunteers engaged in dismantling structural racism. Our vision is to make sure that Truth, Healing, and Racial Reconciliation are celebrated as integral components of the global movement to dismantle structural and systemic racism. EmbRace Healing started on December 1, 2013, 58 years after Rosa Park’s arrest. At the time, I served as the Health Equity Lead at my job and had been heavily involved in efforts to reduce health disparities in low-income communities and communities of color across Washington. In addition to my growing frustrations with the historic roots of social injustice and racism, and the profound revelations from numerous trainings, I pursued this work because of pain. I was tired of talking to friends about the same thing that my parents, grandparents and great grandparents talked about at their dinner table. I also knew that the work of racial equity, social justice, and inclusion required a lot of perseverance, endurance, and self-care. I had been brainstorming a national campaign when I decided, after meditating on a few topics, that I would travel the U.S. via the Millennial Trains Project and talk with various people about Race in America and specifically the role of truth, healing and racial reconciliation in the U.S. The idea was inspired by my frustrations with unresolved race relations and facile policies that never really got to the heart and soul of racial trauma and injustices. So in August of 2014, I launched a national campaign and held conversations with people from various walks of life from across the U.S. to listen, learn, share and connect on this topic. It has since evolved from a campaign to a growing movement aimed at self-care, capacity-building, and transformation. Which coming of age experiences influenced the work you’re doing today? As a child, my family never shied away from discussing race in America and the Black experience. Throughout life, I’ve had conversations on the history of slavery, racism, and injustice and their long-term consequences. While my family imparted wisdom and confidence to walk in my purpose, the work I do today is greatly fueled by what I received while studying at Spelman College, a Historically Black College in Atlanta Georgia, and George Washington University in DC. I remember being in an HIV Policy course where a guest lecturer shared that “HIV and AIDS were symptoms of a larger problem,” and that idea stuck with me because I wanted to figure out and tackle that larger problem. I had learned about social determinants of health. I would get frustrated looking at the countless powerpoint slides that always showed disproportionate rates of disease and death among people of color, regardless of education and income. Then I landed a 3-year public health fellowship with the CDC and one day during lunch I sat in on a lunch and learn series on “Race: The Power of an Illusion” by the California Newsreel. I think that really got the wheels turning. Despite what I knew up until that point, that series scratched an itch and I appreciated the history and facts, all of which informed the symptom of the larger problems I had been tasked with tackling as a public health professional. When I moved to Seattle to fulfill a 2-year field assignment, for my fellowship, I lead my host organizations racial health equity efforts. This opened the door to understanding the importance of both systemic and organizational change when doing racial equity and social justice work. I worked in a lot of different spaces, served on coalitions for children’s health, and advised boards, including ones that awarded grants and managed the Washington Marketplace for the Affordable Care Act (the Affordable Care Act Marketplace was the system created in response to Affordable Care Act Funds for universal healthcare). All of my roles pointed to addressing the root causes of health inequity but what really galvanized me into greater soul work was the national reaction to the George Zimmerman verdict in the death of Trayvon Martin. I noticed a gap and silence from the church, a place I had expected to step up and step in to help soothe the hurting hearts and gaping wounds. But not all churches saw race and racial injustice the same way and not all churches were willing to take a leap of faith and do something about an issue that I believe points to a spiritual malady or cancer. Ultimately, I think we’d do better as a nation and human race if we could experience healing and mediation with this broken relationship. It’s been broken and fragmented for centuries so my goal is to contribute to the development and maintenance of a space where people can be free, begin to heal, and thrive in the fullness of their greatness. Lincoln issued the Emancipation Proclamation in 1863. The Civil Rights Act was passed 100 years later in 1964. Why do you think progress in race relations comes so slowly in this country? Racial terrorism, white supremacy, and white ignorance and apathy have come together to create the perfect cocktail that hinders progress. We need a wide reaching initiative or movement to address racial terrorism including the full acknowledgment of its existence, its roots and goals, and how to dismantle and prevent it from prevailing. There’s a timeline floating around that drives home the fact that racial terrorism and oppression has thrived in the U.S. for almost 400 years. This evil has been around longer than the U.S. has been a nation, which is roughly 241 years. Before the U.S. was “born,” the “founders” created a system whereby they would secure their freedom at the expense of other human lives. The first enslaved Africans were brought to the Jamestown colony in 1619 marking the start of the atrocity of chattel slavery, which ended in 1865. That’s 246 years of explicit slavery. I say explicit slavery because post-Civil War did not eradicate or abolish the practice of enslaving and exploiting blacks in the U.S. Blacks were further exploited in convict leasing programs, killed en masse during the post-war lynchings, further assaulted and maimed during the Jim Crow era, and 50 years after milestone civil rights legislation, we are still experiencing disparities in wealth, health, education, employment, and decision-making power in corporate, academic, political, and financial arenas. Of course, African Americans weren’t the only community to be abused, vilified, and maimed. We see similar data among First Nations and Latin@ communities, and Arab Americans and Muslims are further vilified with the most recent Muslim Ban. The foundation of the U.S. is drenched in a system and practice that its founders called a “necessary evil” and a “positive good” that has evolved with each passing generation. So why is progress so slow? Because the system has been around for centuries mutating and preserving itself like a chronic illness. That and also because it’s tied to capital gains. The wealth of the nation was secured via slavery and the powers that be within the U.S have yet to acknowledge and work towards making proper amends for this evil. Native American genocide and slavery haven’t gone away. Look at the broken treaties, Standing Rock attacks, and prison industrial complex for evidence of this truth. Oppression is deeply tied to the wealth of this nation and wealth to oppression. Because of our myopic perspective, we can’t see there are ways to secure and sustain wealth without sacrificing groups of people. “We have cut off our nose to spite our face,” but don’t want to go to the doctor to get reconstructive surgery and therapy for the madness. Can we truly experience racial healing and reconciliation through conversation? What breakthroughs have you witnessed? I think it will take much more than conversation, but I know that the conversation is a powerful start and necessary action to making this a reality. Therapists, life coaches, and Alcoholics Anonymous leaders will tell you that talking is a form of healing and transformation. But before talking comes a choice to be courageous and change. We have to have the courage to go into the heavy and weary spaces and revisit the pain. We have to be willing to address the pain, indifference, apathy, and numbness and decide that this pain is horrible, but the silence is worse. Silence is dangerous, even violent because it’s what convinces us that everything is alright and if we ignore it it will go away. But that’s ludicrous and has never worked. What major challenges have you faced in working to bridge the racial divide? Not doing a good job with my own self-care. I think this is what most people in this work need to prioritize and something that I really want to support and provide through EmbRace Healing. This is not just an effort to promote truth, healing, and reconciliation, but also an effort to make sure that the people in the trenches get relief and rest when they’re feeling weary. That doesn’t mean we’re giving up or throwing in the towel. It means we’re regenerating and renewing our energy bank so we can be our full selves in this work. So far, I haven’t encountered too many surprises. I choose not to force, coerce, or try to convince a person they need to change. But there is an urgency for change. How can organizations use the EmbRace Healing model to reach their diversity and inclusion goals? We use several different strategies, the key one being community peacemaking circles where participants are invited to speak as equals about an issue or topic that can’t be dismissed. For example, we would have a lengthy session to talk about what recently happened in Charlottesville, VA, the removal of Confederate statues, and The President’s remarks to this and similar events. This is a vulnerable space. A lot of this work requires vulnerability. We like to go straight to problem-solving. That’s essential, I agree. But if we go straight to problem-solving and bypass the heavy and messy heart work involved in this space, we miss great opportunities to meet people where they are and engage as humans. I’ve been in trainings where participants want to analyze and use logic to tackle this issue. I get it; I’m an analytical person through and through, but we’ve tried to make sense of an issue that lacks logic and reason, at least sound logic and solid reason. So a peacemaking circle, rooted in the indigenous practice of the talking circle is where I start. I give credit to the elders and lights in Seattle, WA who taught me this technique and to Kay Pranis who explains the circle process in detail in her books. The circle process allows for equal sharing, transparency, vulnerability, and relationship-building. We have to get from behind these masks and walls that we construct around each other and that’s tough because most of the walls are designed to protect us from shame, stigma, judgment, and the brokenness we carry around. Truth in the form of storytelling and historical references also warms people up to the value of this work, hence trainings and a lunch and learn session after watching a documentary. Additionally, organizational transformation is equally the responsibility of leadership and staff. Some organizations have apathetic leadership and others have apathetic staff, but both parties have to look at the big picture. What are your organizational goals? Who is missing from the conversation and the table and what can be done to make sure their voice and ideas are celebrated when they come into the organization or sit at the table? So much opportunity rests ahead for the organizations that are willing to take a risk, be open and real, and know that they’re not the first to embark on this work, nor will they fail in their attempts to do right by their staff and customers. 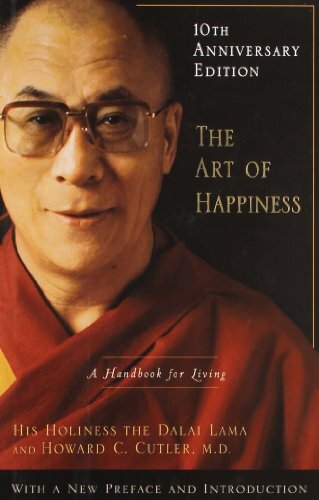 One of the peacemaking principles for EmbRace Healing sessions is: Transform your pain into positive action. For others who are interested in healing work, where can they start? Start with knowledge and understanding. Learn as much as you can. Read, talk, and study the history of the U.S. if you’re a resident or citizen and look at other examples of nations and communities working towards healing and reconciliation. Germany and South Africa are examples of nations that have attempted to address and prevent the horrors of their past. By all means, build space for self-care. I can’t emphasize that enough. Write, run, do yoga, watch funny movies, go skating and bowling, go to concerts or dance offs. Don’t get trapped under the boulder of this burden and burnout. I would also say challenge your religious leaders, counselor and social worker friends, and personal therapist if you have one to talk about this. Hold them accountable to truly sitting with and addressing this issue. One sermon or two facile therapy sessions are not enough. Get them there with you. If you’ve made several attempts and think they’re ignoring or dismissing you, go where you’ll be fed and supported. I’ve met a number of people who are so immersed and entrenched in this work that they often report not recognizing themselves. On the one hand, it’s great that they’re transforming and possibly seeing signs of growth or intolerance to behaviors that they once accepted, but most people say this because they’re burnt out and winded. So before you start on healing work, be sure to create a space or reliable outlet for self-care. It’s ten years into the future, how has your work impacted society? I have soooo many ideas and visions for this work and space, and as ambitious as this may sound, in 10 years there will be an upward trend in conversations, activities, and content that emphasizes the value of truth, healing, and reconciliation related to race in the U.S. The urgency will be more evident and people will accept the fact that we need to come face to face with the truth, get on one page with the full history of this nation, and work towards developing our policies, systems, decisions, and future priorities in a manner which makes space and honors the healing and reconciliation work required in this nation. When it’s all said and done, my vision is for the U.S. to acknowledge the role of white supremacy and declare a solid commitment to never let the past repeat, similar to what Germany has done regarding the Holocaust. Ten years from now, I will say that I contributed to the great work of the giants before me and added to the foundation that future generations will stand on as we cultivate and sustain truth, healing, and reconciliation.